One of my all time favorite screen shots so far, filtered, and (obviously) used as a cover shot, or thumbnail. Hello! 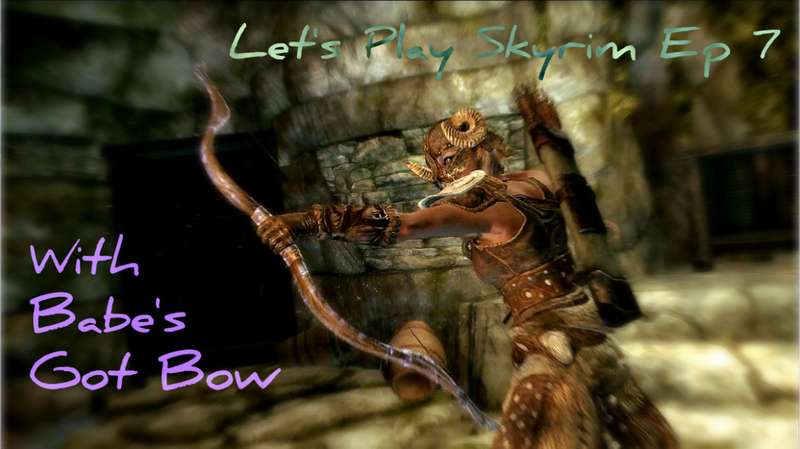 I’ve been doing a Skyrim Let’s Play (unmodded game, on XBOX 360, with all expansions) and so far have taken the time to capture screen shots for the video thumb nails. Please click on the images to see them full size – the small format on this page doesn’t do them justice. 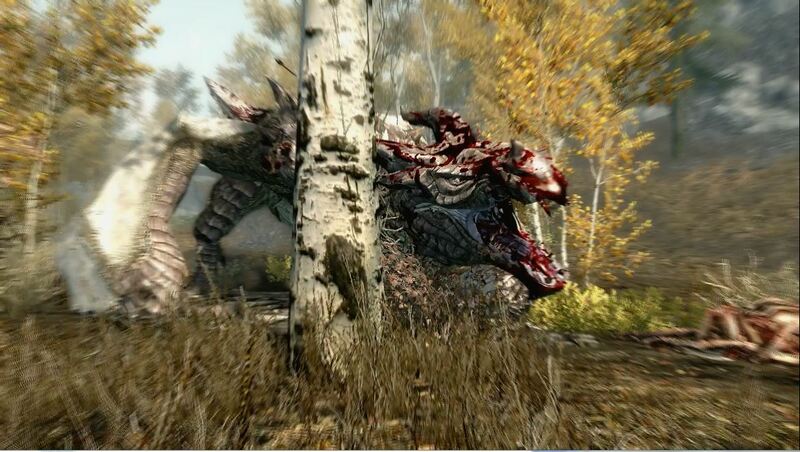 A dragon, all bloodied, about to meet his demise. 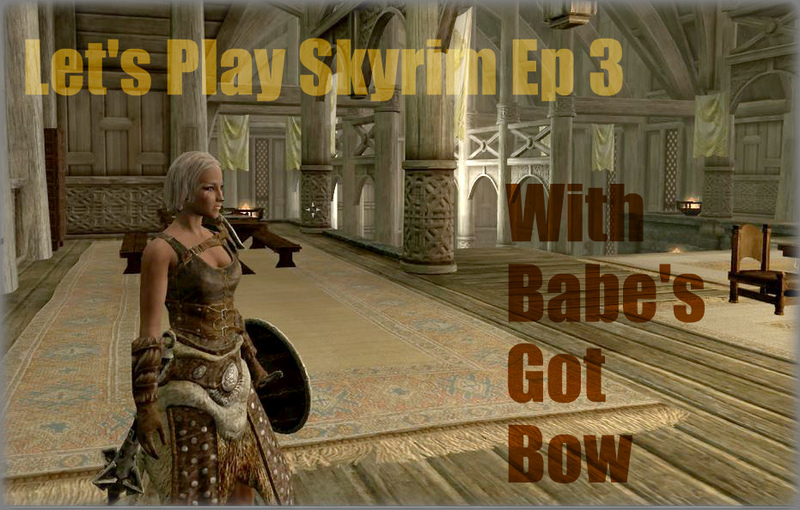 With Christian Eyes author does a Skyrim “let’s play” with a cool-looking (magish) female Breton. For any Christians or simply parents interested in getting a general impression of in-game dialogue and violence, the game introduction isn’t bad way to do it. There is a little swearing in it, which is actually more than in the rest of the game — most swearing, when characters happen to do it, is in ways reflective of the in-game culture (not standard real world curses). A beheading takes place in the introduction, fairly representative of pretty much the worst you’ll see in-game. Certain perks (like Devastating Blow and Savage Strike) can be chosen later on to emphasize bloody violence, but, as said, that is a choice a player can make. Unfortunately, however, you can’t turn off the slow-mo killing scenes which happen once-in-a-while (in Fallout New Vegas, which Bethesda also produced, you can. 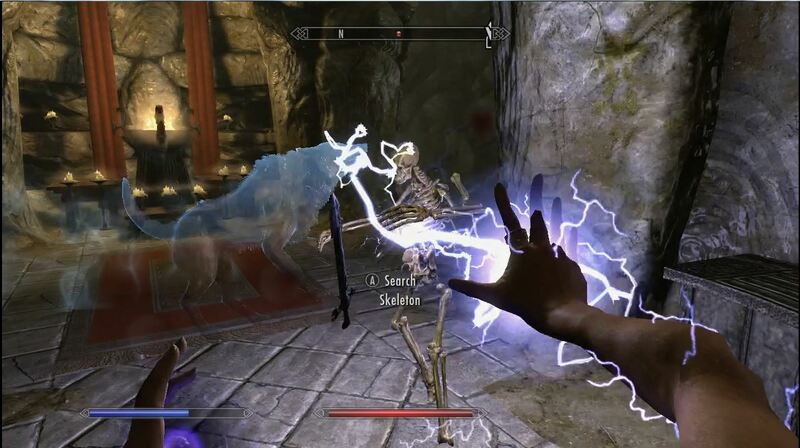 Maybe the next Elder Scrolls game will have this feature). 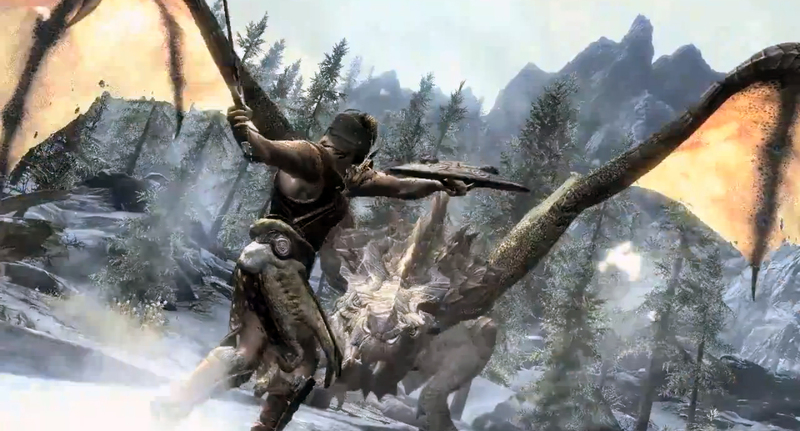 There are reasons why Skyrim has a “mature” rating, but as far as mature games go, it’s quite tame. Thanks for watching! Statue of Talos in Whiterun, with Shrine in front, Dragonsreach to left, giant Eagle in middle, and old Companion’s home to right. 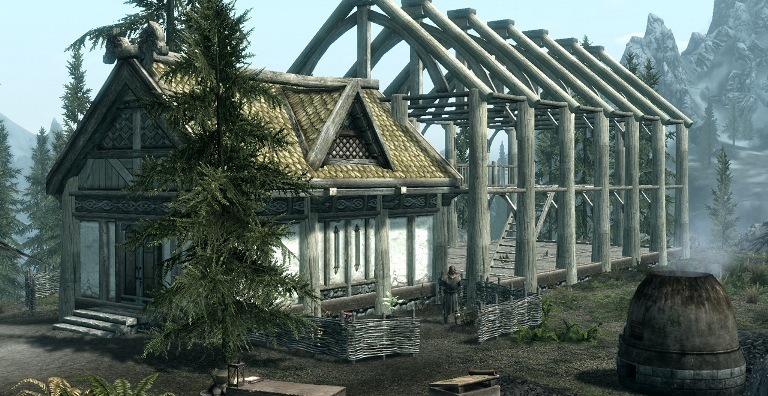 I wrote about this dlc already (at dragonborn dlc wordpress) but wanted to convey some more information about the Skaal’s religious views, and generally about the playability of the new dlc content. So basically this is an addendum to the linked article; please see it if you would like more coverage of the Dragonborn dlc. 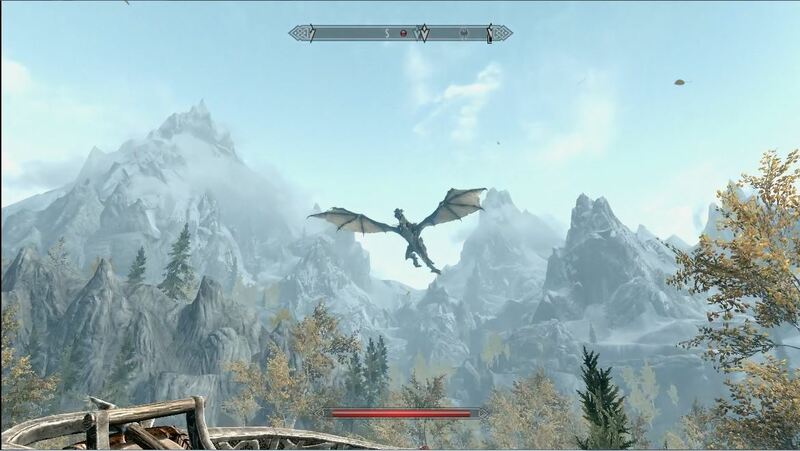 Dragonborn DLC playability. First. when we got the DLC I was playing a game where I had a high level character, over 60, and I was getting close to wrapping all the quests up. 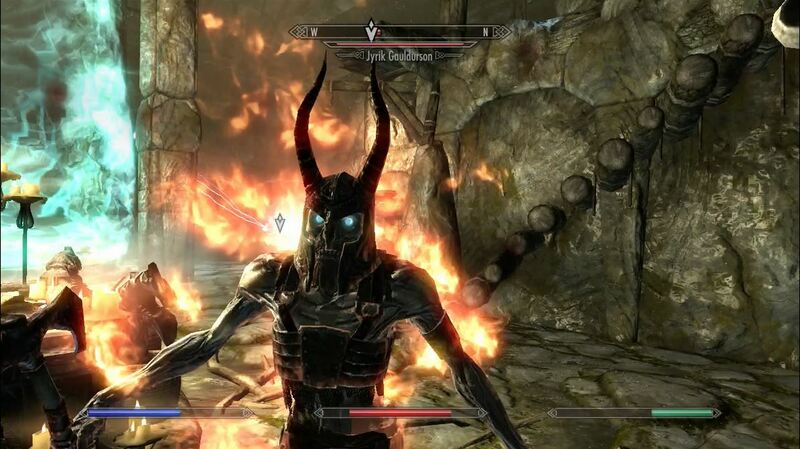 Playing at this level in Solstheim is relatively easy. Only Karstaag was a difficult opponent (surprising battle, that was!). 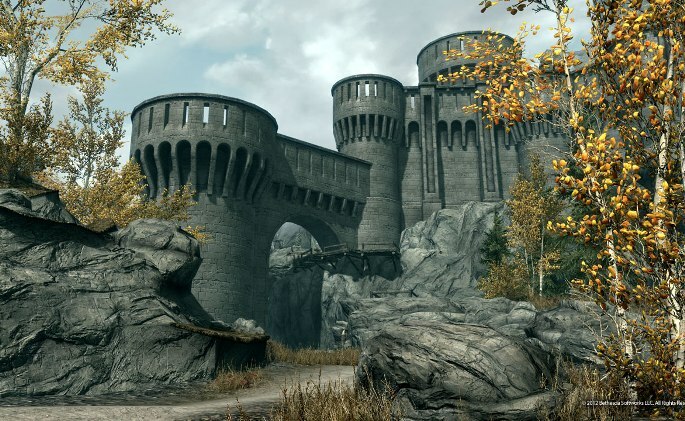 But, beginning a new game and going through it so far – I’m now level 11 and had gone back to Solstheim after first going there at level 6 – I can say Solstheim is not a place you’ll get through easily for a while. Of course, the game level setting can be adjusted to its lowest level, but I’m going to bet that fighting off random lurkers will prove pretty impossible for a low level character. I wanted very much to make it to Neloth and so I swam there. The only real problem I had was when my companion, Lydia, wouldn’t just swim along and ignore a Lurker. *People ask when “the quest” starts with the DLC. 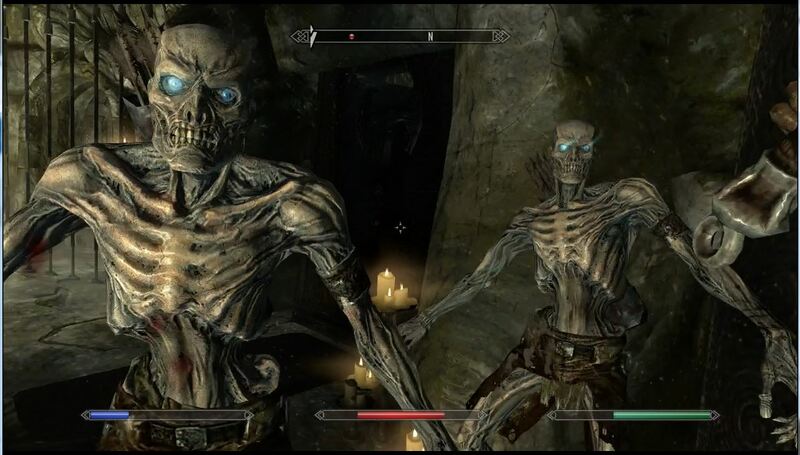 There are various quests, but the main quest with Miraak will activate after you go and see the Greybeards for the first time. A couple of his cultists will meet you somewhere and attack you. The Skaal and their religions views. 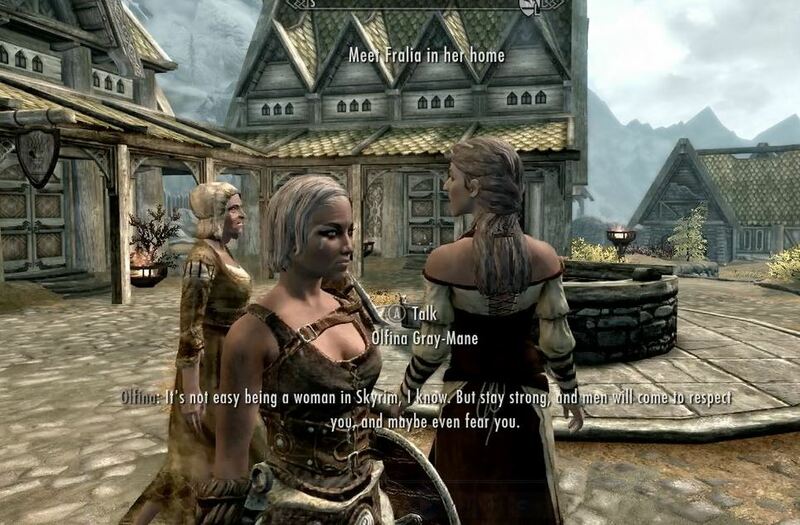 The Skaal are most interesting, as their visiting researcher (like an anthropologist amongst a far away and dying tribe) frequently points out. 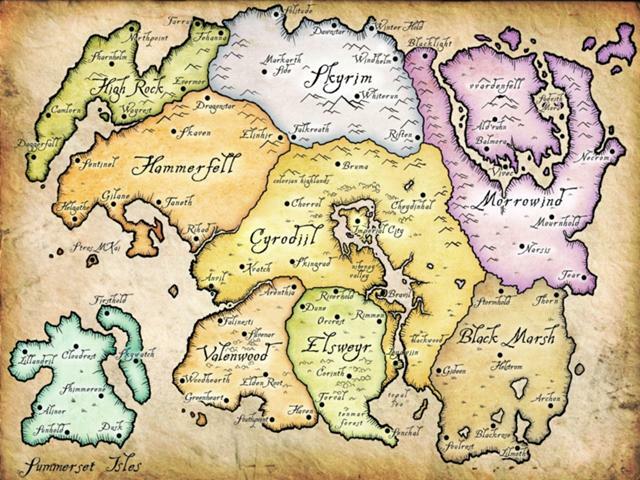 Unlike the majority of Nords, they believe in an All-Maker god and not in the pantheon of deities. If you never read the book, Children of the All-Maker, or don’t talk to Frea after the main quest is over, you would very much think that the Skaal believe in a Judaic type of God. They talk or write of going to be with the All-Maker after they die, and seeing others that have passed on there too. They also allude to spirtual consequences that are Western, not Eastern (there is the call of the All-Maker, and ignoring it has consequences). YET, oddly, the two sources I mentioned say they believe in reincarnation, even for humans. So, it doesn’t make much sense (you can’t be with the All-Maker visiting relatives while also being another person on earth). Interestingly, there are real-world people groups in Asia that, when found by missionaries in the past, have shown that they believe in God and even had premonitions of Christ. But this is not what is happening with the Skaal. I would give Bethesda some credit for actually taking apparent early Norse belief in reincarnation and adding it into the game (as evidenced in the real-world Norse Poetic Edda). However, having the religious leader (“shaman”) pray in an Eastern religious fashion takes away from this seeming historical reference.